Mikhail Kozlovsky is one of the greatest sculptors of Russian classicism, whose work is imbued with high ideas of enlightenment, vivid emotionality and sublime humanism. In the opinion of art criticism of the early XIX century, each of his works “reveals a lot of imagination, feelings, original look and masterful hand of the author.” The master was interested in characters of ancient myths and Russian history. In them he found ideals, important not only for his contemporaries, but also for descendants. 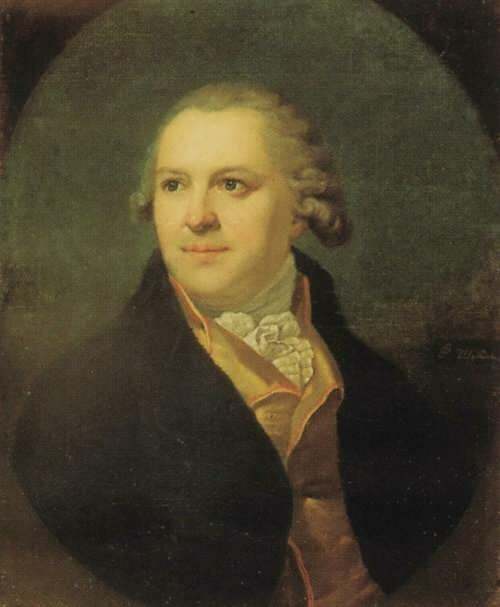 Mikhail was born on October 26 (November 6), 1753 in St. Petersburg into a family of a military musician. 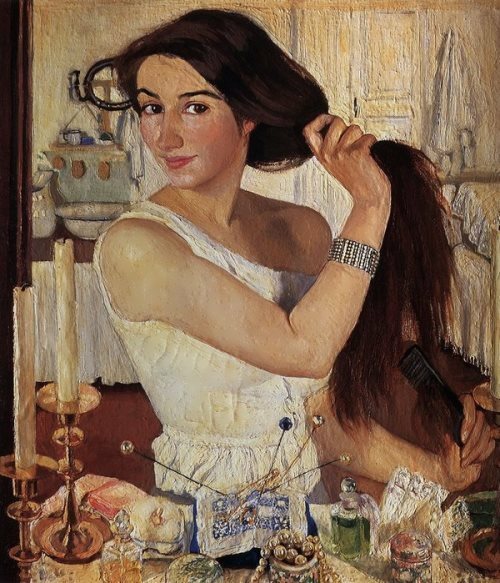 At the age of 11 the boy entered the St. Petersburg Academy of Arts. French artist Nicolas Gillet, who trained many talented sculptors of that time, and A. Losenko became his closest mentors. In 1772 Kozlovsky was awarded a first class gold medal for his bas-relief Prince Izyaslav in the Field of Battle. 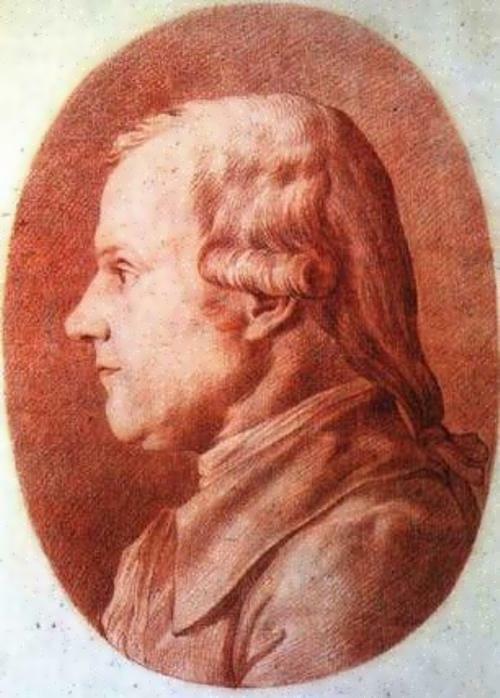 After graduation, he became a pensioner of the Academy and was sent to Rome (from 1774 to 1779) and to Paris (from 1779 to 1780). By the way, in 1780 the Marseilles Academy of Arts awarded him the title of academician. 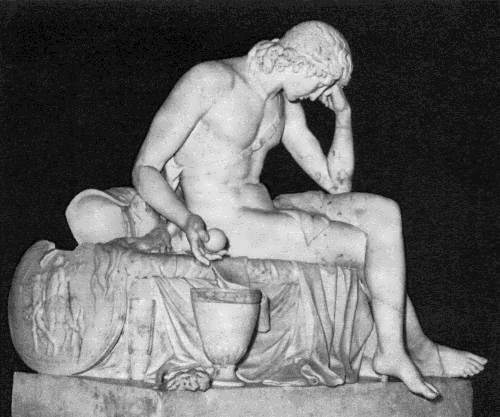 In 1782 Kozlovsky returned to Russia with the sculptural group Jupiter and Ganymede made abroad. Also he made a marble statue of Catherine II, represented as Minerva (1785) and became widely known and recognized by his contemporaries. At the beginning of 1788 the sculptor was sent abroad. 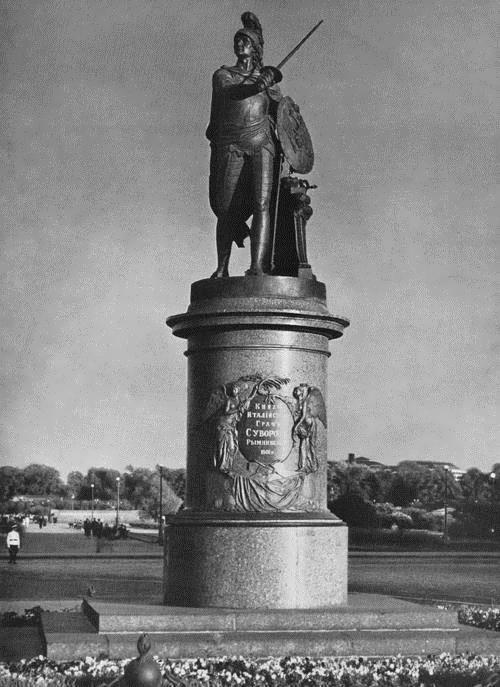 Another of Kozlovsky’s finest achievements, and one of the most beautiful decorations of the fountains at Peterhof, was his Samson. The ensemble of the Peterhof fountains was destroyed by the Nazis in the Second World War. 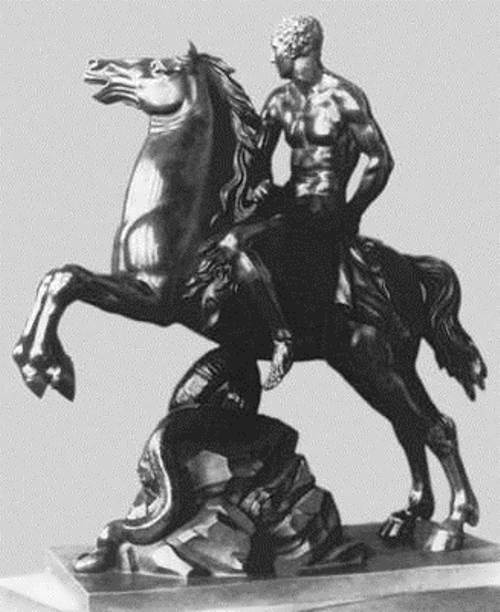 A copy of Kozlovsky’s work was made in 1947 by Leningrad sculptor V. A. Simonov. In the style of his works, the influence of the aesthetics of French sculpture of the fourteenth century is noticeable. 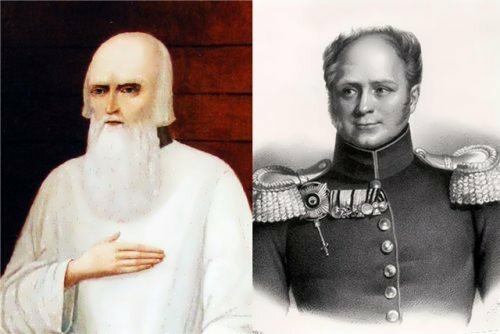 The most famous of them are: the monument to Alexander Suvorov in Petrograd, the statue Samson (one of the Peterhof fountains), Sitting Girl (Winter Palace) and a figure of a man, made to study human anatomy. 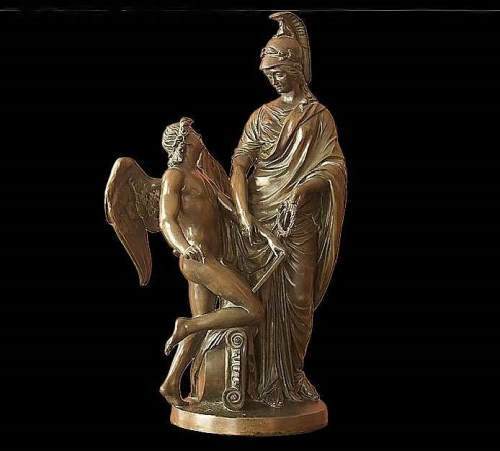 In the early period of creativity, the main theme of the sculptor’s works was the theme of civic virtue, courage, self-sacrifice and fortitude. The heroes of his reliefs are outstanding characters from the history of ancient Rome, who in the name of the Fatherland and the common good of the people sacrifice themselves. In 1794, he received the title of academician, as an artist who had already proved his talent and then he received the title of professor. 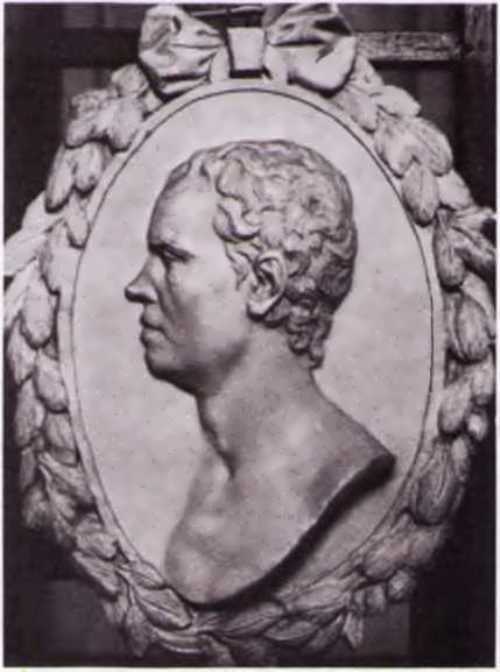 From 1794 until the end of his life he taught sculpture at the Academy. 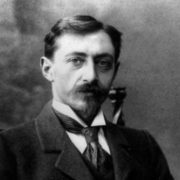 To tell the truth, Stepan Pimenov and Vasily Demut-Malinovsky were among his students. 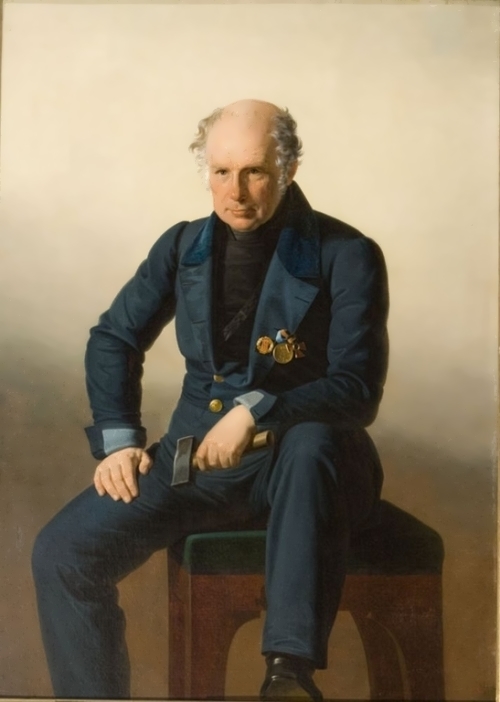 Mikhail Kozlovsky died on September 18 (30), 1802 in St. Petersburg and was buried at the Smolensk Orthodox cemetery. 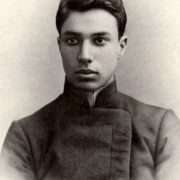 In 1931, his remains were reburied at the Lazarevskoye cemetery of the Alexander Nevsky Monastery.